What are girls really good at? Being friends! But do you know how to be the best mate ever? Find out in this fantastic guide to getting along and having the best fun! It’s simply bursting with cool crafts, games, activities, ideas and tips. Learn how to make friendship cookies, cards and lockets. Start a girl band, or hold the ultimate pyjama party. Find out how to build up trust between mates, make up after squabbles, and tell real friends from fakers. 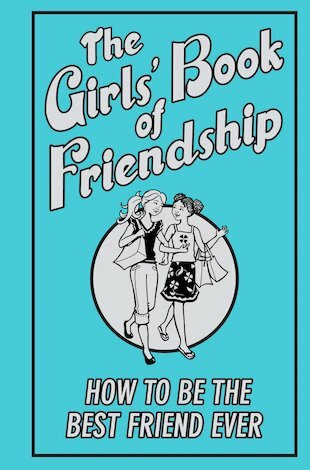 From makes and bakes to friendship survival tactics, get the biz on how to make friends and never ever break friends. Every girl deserves fantastic friendships! how do u read it?? !